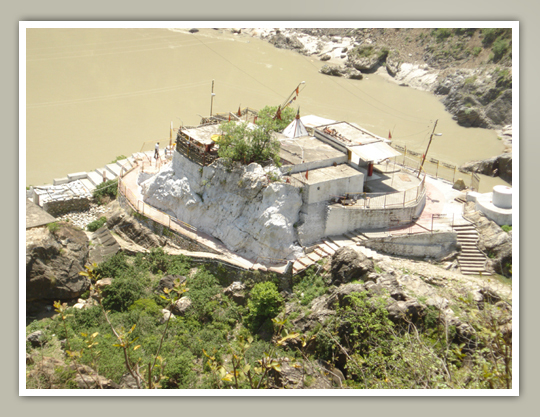 Perched atop a 20 metre high rock, the temple of Dhari Devi is situated on the banks of river Alaknada. One has to travel a distance of 19 kms. from Srinagar (Pauri Garhwal) on Srinagar-Badrinath highway upto Kaliya Saur, then down trek another half a kilometer towards Alaknanda river. According to a local legened, the temple was once washed off by floods, while floating the idol struck against a rock, the villagers heard the cries of the idol. On reaching the site they heard a divine voice instructing them to install the idol as it was, on the spot it was found. Since then the fierce looking idol remains where it was, known as Dhari Devi, under the open sky, and thousands of devotees on the way to Badrinath pay their obeisance to it. 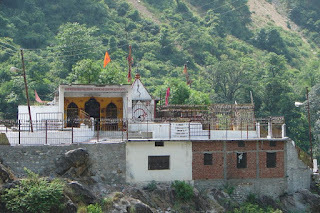 The temple of Dhari Devi in Srinagar hosts only the upper part of idol of Godess Dhari, the remaining lower part is believed to be in Kalimath in Rudraprayag district. It is believed that the idol of Dhari Devi shall not be put under roof. For the same reason, the idols in Dhari Devi Temple are put under open sky. Taking photographs of Dhari Devi idols is strictly prohibited. 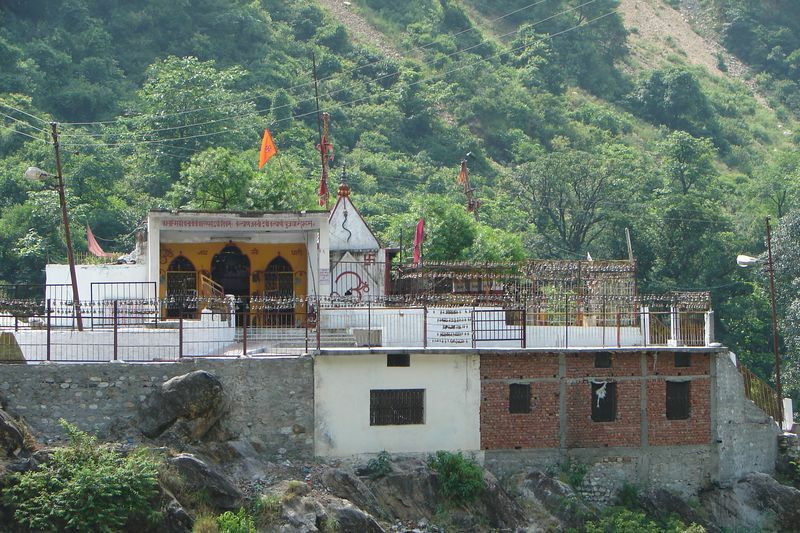 The village near the temple is name after godess Dhari and known as Dhari Village. A hanging bridge over Alaknanda river connects the Dhari Devi temple to Dhari Village.